Merce Cunningham: A Life In Movement "One of the great iconoclasts in 20th-century art," Merce Cunningham revolutionized modern dance, pioneering abstract movement with his partner John Cage. Cunningham died July 26 at the age of 90. Merce Cunningham spent more than 60 years pushing the boundaries of modern dance. He died July 26 at age 90. 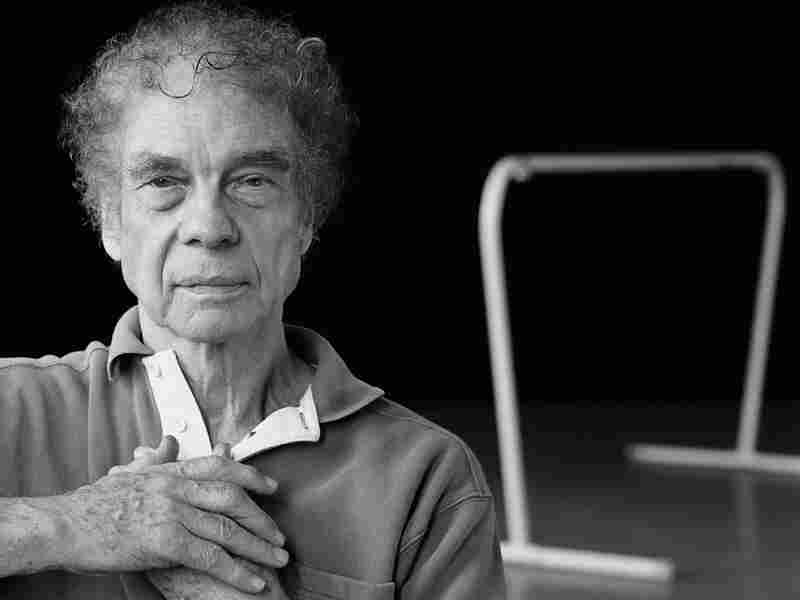 Choreographer Merce Cunningham died on July 26, at age 90. Known as "one of the great iconoclasts in 20th-century art," Cunningham revolutionized modern dance by rejecting certain basic dance conventions. For him, dance didn't need to be used to tell a story or to symbolize an emotion; it was movement for its own sake. Cunningham studied tap dance in Centralia, Wash., before moving to New York in 1939. In a 1985 interview with Fresh Air, he said there wasn't as much dancing in the city then as there is now, but he went to everything he could — from ballet to programs off the beaten path. "I was seeing Spanish dancing, and I remember seeing an East Indian program the first year I was in New York; it was totally bewildering to me, but it was very beautiful," he said. "So I realized there were all kinds of things I didn't know anything about, about dancing, and I wanted to find out about it." Cunningham went to the School of American Ballet, but his upbringing in tap had a huge impact on the creation of his own style. From his humble dance origins in Centralia he learned that despite different names for dances, they were all about quality of movement, not a story or even necessarily a rhythm — only movement. "In all my work with dancing, that to me is what makes the dancing come alive," he explained. "You can say it's about something, or indicate that in some way, but who basically would be interested in those stories if the dancing wasn't interesting?" As his work progressed, it began to radically challenge the traditional relationship of dance to music. In the works he made with personal and professional partner John Cage, music and dance became independent of each other. "We both thought, 'Well, the one thing that really connects music and dance is the fact they both take place in time, and if you put them together they can take place in the same time,'" said Cunningham. "Even in those first solos I made, we developed a different time structure within which I made the dance and he would make the music — but that didn't imply that he was following the dance strictly. ... The sound and the dance would meet at structure points, but in between that, we could be separate." Cunningham likened the idea to walking down the street: different things are going on all around you all the time, but you accept them and move with them in your own way. Since those early days of experimentation, Cunningham expanded his work. In 1953, he founded his own dance company. At the age of 80, he danced a duet with Mikhail Baryshnikov. "[Dance] was, and remains, to me, an extraordinary area to work in; it seems to me that one can constantly be refreshed," said Cunningham. "One only has to get one's mind out of the way about deciding that something is good or bad, and rather allow for different kinds of things to take place, so that you are or I am constantly on the point of discovering something I don't know about, rather than repeating what I do know about." This interview was originally broadcast in December 1985.